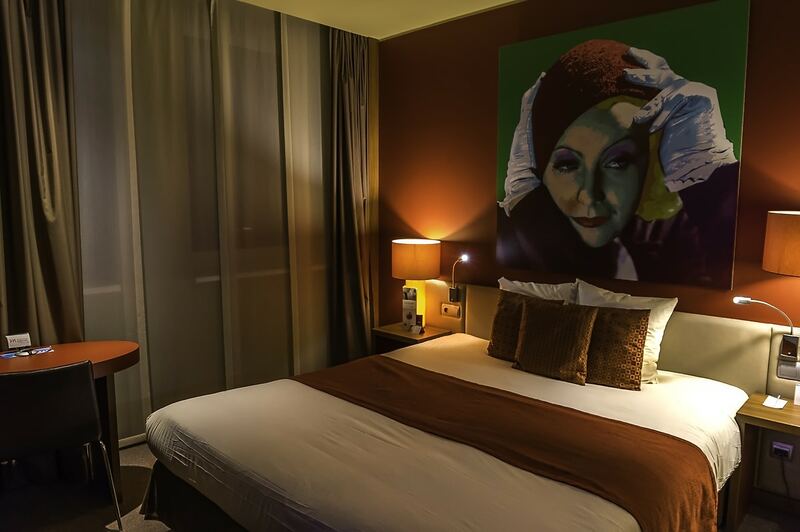 A contemporary 4star hotel , Mercure Bratislava Centrum counts 175 rooms. It has a beautiful pop art design that gives it it’s own character and differentiates it from the usual. Located in Stare Mesto. It’s three minutes from the train station and 15 minutes from downtown and the castle of Bratislava. They are reasonably spacious with cream and bordeaux color tones. The double bed was big and comfy. Also the room was equipped with a desk and all the usual facilities. 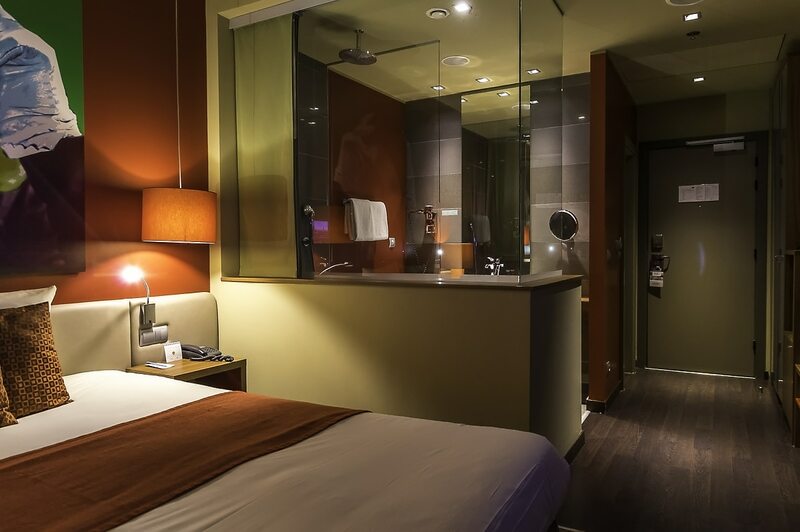 The bedroom and bathroom are divided by a glass partition wall which I personally like but some people may find a little intrusive, especially in the rooms where the toilet is also located in the bathroom. Of course there are curtains that can be closed. Overall the room was cozy, clean and nice. I liked it. The hotel has a restaurant and a bar which are rather typical of this hotel type and work as expected. Breakfast was excellent with big variety. The WIFI was also free and the speed was decent. A fitness center is available free of charge for guests. I don’t think I could get better value for my money in Bratislava. 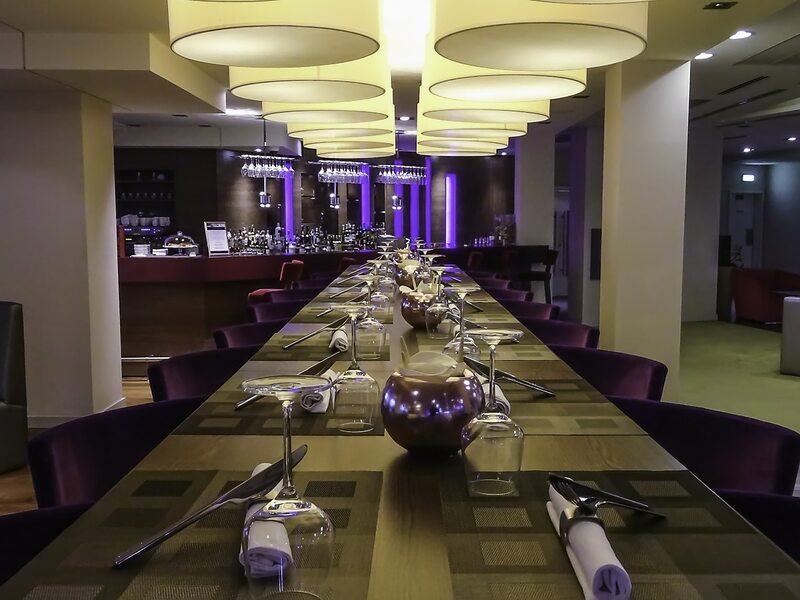 Overall the experience in Mercure Bratislava Central was perfect and the biggest part of this was played by the staff who was extremely polite, helpful and professional. An excellent hotel choice.